The employees of the Illinois Department of Corrections (IDOC) and the Department of Juvenile Justice (DJJ) made this happen. On May 10, 2001, the groundbreaking for the memorial began. 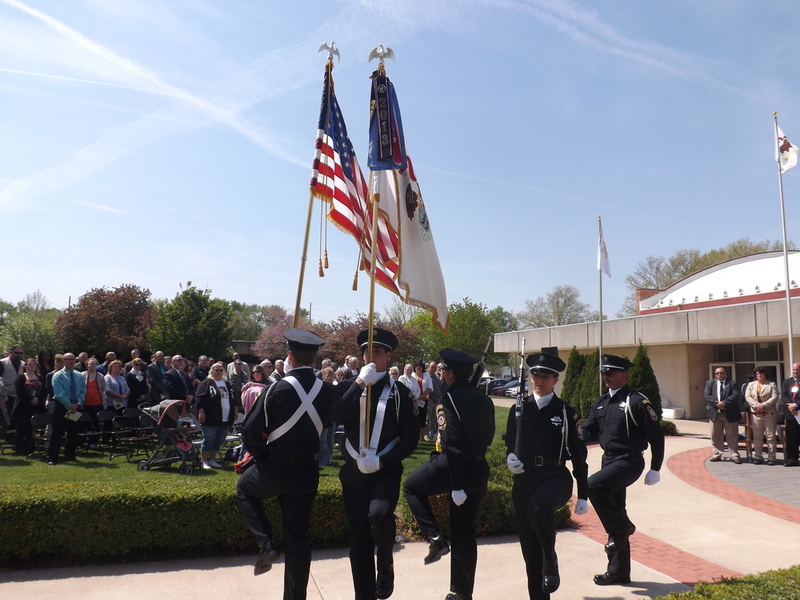 One year later, on May 9, 2002, the dedication of the Memorial Wall, along with the Correctional Officer of the Year ceremony, was held at the Department of Corrections headquarters in Springfield, Illinois. The names of the Department’s fallen heroes are inscribed on granite blocks featured on both sides of the memorial wall.